Massachusetts State Police are investigating a fatal train accident that occurred recently in Chester, a rural area about two hours west of Boston in Hampden County. Sparse information was offered by officials regarding the circumstances of the crash, in which a 23-year-old male pedestrian was killed on the tracks, but Boston train accident lawyers know that incidents like this are on the rise. A recent USA Today analysis of federal rail data revealed that on average, a train accident occurs in the U.S. once every other day – and those figures only involve passenger and commuter trains. Fatalities on all railroads in 2013 were reported to be around 730, representing an overall increase of 9 percent in a single year – 11 percent in railroad trespassing deaths and 8 percent in accident deaths. Although rates do vary form year-to-year, this is a marked increase, even as yearly accidents and train derailments have declined substantially over the course of more than a decade. According to the Federal Railroad Administration (FRA), some 27 passenger railroad service providers have reported that in the last 11 years, there have been 2,260 crashes, 780 derailments and more than 100 collisions. In those instances, 50 were killed and 2,700 were injured. These crashes reflected only those providers that operate under the authority of the FRA. Of those instances, Amtrak trains were involved in roughly 45 percent of those, with passengers aboard about half the time. Trains operating out of New York and New Jersey have the highest percentages of accidents. Just last year in the Bronx, a conductor was traveling at 82 miles-per-hour around a 30-mph curve when the train derailed. The National Transportation Safety Board has yet to issue findings to indicate whether the high speed was the result of faulty equipment or human recklessness. In addition to operator error, conditions of tracks may also be potentially to blame for such serious outcomes. A report issued in December by the General Accountability Office indicated that FRA safety inspectors have the ability to inspect less than 1 percent of the entire federally-regulated railroad system. Sometimes state inspectors step in to fill the gaps, and railways will sometimes conduct their own. However, it’s often not enough. The safety outreach effort is supported by both the Federal Railroad Administration, the Association of American Railroads and several individual railroad companies. Always anticipate a train on the tracks. Recognize that trains always have the right-of-way. Trains move faster – and more quietly – than you might thing. Don’t walk on the tracks. It’s illegal and dangerous. 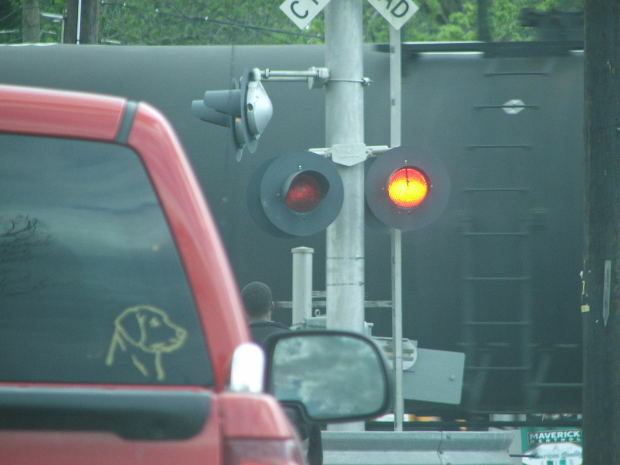 Stay alert around railroad tracks. Turn off your headphones. Put away your cellphone. Pay attention. Stay aware. Trains can come from any direction and can be much quieter than you would assume. Beware of the overhang, as trains are wider than the tracks. Make sure to stand away from the edge of the platform. Hold on while on board. Follow all directional signs and markings that let you know where it’s safe to cross and walk. If you are injured in a train accident, call the Law Offices of Jeffrey S. Glassman for a free and confidential appointment — 1-888-367-2900.